Say “Ola” to Maple Pepper® Chipotle Spice Blend, the star of the scrumptious flavours in this colourful dip. Served either warm or cold, your friends and family will love it! Sombreros and maracas not included. 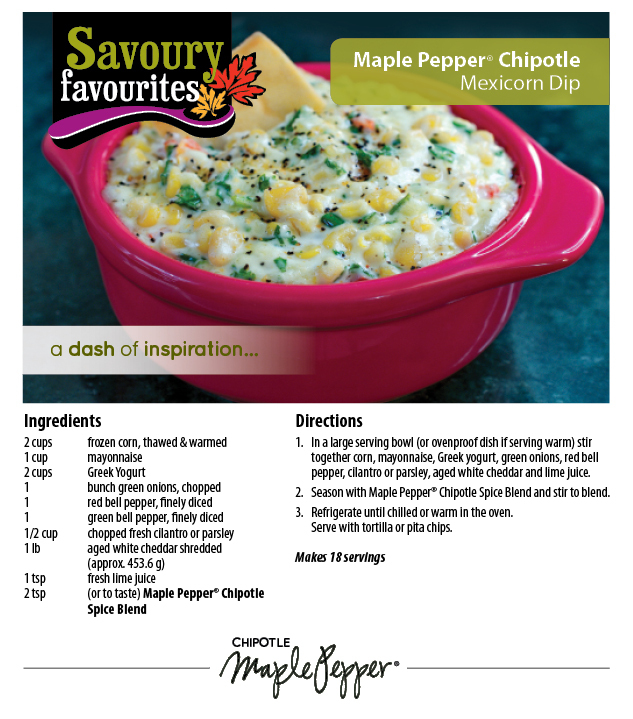 Do you have your own delicious Maple Pepper® inspired recipe?